Rats have caused more human suffering and more economic damage when compared to other vertebrate pests. According to the statisticians rats destroy 20 percent of the world’s food supply every year, either by directly by feeding or indirectly through contamination. Rats have been able to adapt to most human environments. They have adapted the ability to live in granaries, fields, city sewers, ocean-going ships, roofs, and many other places. Rats are very athletic, with the ability to leap 3 feet straight up and 4 feet horizontally. They can walk among buildings on telephone or power lines, and scramble on board a ship on its mooring line. In the water rats are able to do a lot as well. They can swim a half-mile while in open water, and can tread water for up to three days. They can also fall more than 50 feet and survive. Rats are gnawing constantly, which makes their teeth extremely hard. They usually chew through building materials such as cinder block, aluminum siding, sun-dried adobe brick, and many others. 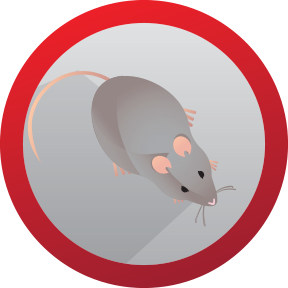 Once they have gnawed a hole, adult rats can compress their body and squeeze through an opening only ½ inch high. A mature female rat can give birth to about 20 young in a year (about four to six at a time. Usually the average life span of a rat in the field is less than one year. Female rats live longer than males. When the young are born they are hairless, and their eyes and ears are closed. After two weeks their eyes and ears open, they start to become furry and rat-like. Once they are in the third week, they begin to eat solid food, and imitate their mother to forage, escape, and watch for danger. Young are totally weaned at 4- or 5-weeks old. And at 3 months, the young are independent of their mother.